A new report shows some of New Brunswick's wood products manufacturers could soon experience a rebound, due to an improving housing market south of the border. Could cause rebound for wood products manufacturers in N.B. A report released by Scotiabank points out an increased demand for wood products in the U.S. According to the report the rebound is due in part to an improving U.S. housing market and west coast lumber being exported to Asian markets. 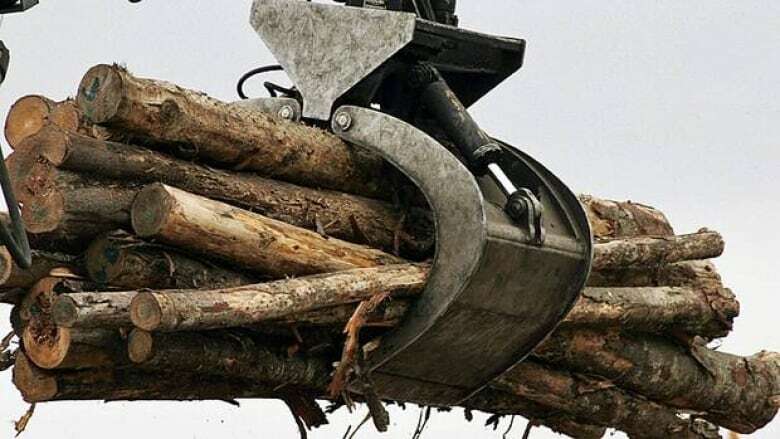 The province exports about 80 per cent of its finished wood products to the U.S.
David Palmer, the manager of the York Sunbury Charlotte Forest Products Marketing Board, said there is already preparations at one of the company's mills. "We've had seven years of poor markets," said Palmer. "We purchased [the old M.L. Wilkins and Son Ltd. Sawmill] four years ago, and all during that time period, the markets have been too low to really run the mill profitably. It's only been in the last six to 12 months or so that the prices have come back enough to make it feasible to operate the mill." The closure of mills since 2008 has also led to a shortage of certain products like particle board. At St. Stephen-based Flakeboard, president Kelly Shotbolt said the plant is already seeing some initial recovery in medium-density fibreboard (MDF) markets. Shotbolt said it could be leading to a pickup in particle board manufacturing sometime next year. Mark Arsenault, the president and chief executive officer of the New Brunswick Forest Products Association, said if the U.S. housing market continues to improve, it will benefit the province. "The use of wood fibre and any kind of construction, whether it's residential or not, helps all of the major producers," he said, "whether it's as simple as the lumber, or it's as complicated as cabinetry, doors and windows, and all those other types of value-added finished products." Shotbolt said it's still too early to tell what the increase will mean for employment at the St. Stephen plant.